The royal family has had its share of scandals, especially Meghan Markle's beloved. 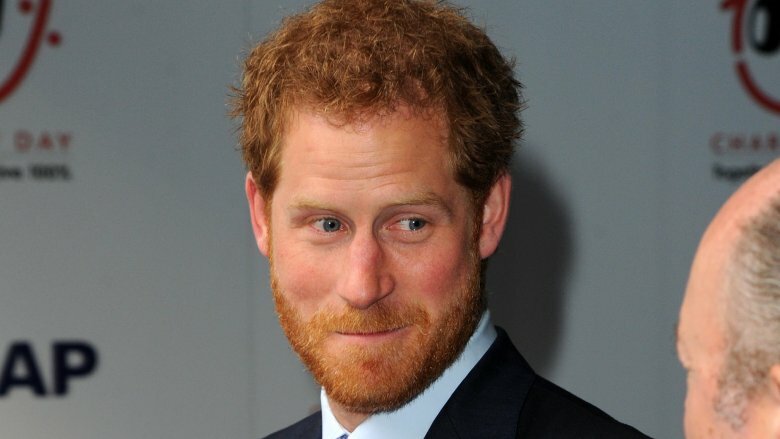 Prince Harry was notoriously in headlines for everything from smoking weed to dressing as a Nazi, but he's put his controversial past behind him to settle down with his TV star fiancée. The press has painted their union as the match of the ages, with Harry sweetly describing the royals as the "family" Markle "never had." But Markle does have a family — she just didn't invite most of them to the royal wedding. Markle's estranged family made headlines over a bunch of embarrassing squabbles. Amazingly, despite regularly hurling insults at the bride, some branches of this tree still expected an invite. Things got so tense between Markle and her kin that she chose to invite more than 1,000 strangers to her nuptials instead of her relatives. In fact, the bride even picked children to serve as her bridesmaids. Yes, cranky kids at a wedding were apparently less likely to cause drama than her extended family. The royal family is marked by its enormous wealth, even if the queen appeared to be burning through funds in 2014, and the Duchess of York had some $6 million in unpaid debts looming over her head. If that situation with the duchess "deeply concerned" the queen, Meghan Markle's family's financials may be considered a full-on national emergency. Though Meghan reportedly had a net worth of about $5 million, her family's portfolio is not nearly as healthy. 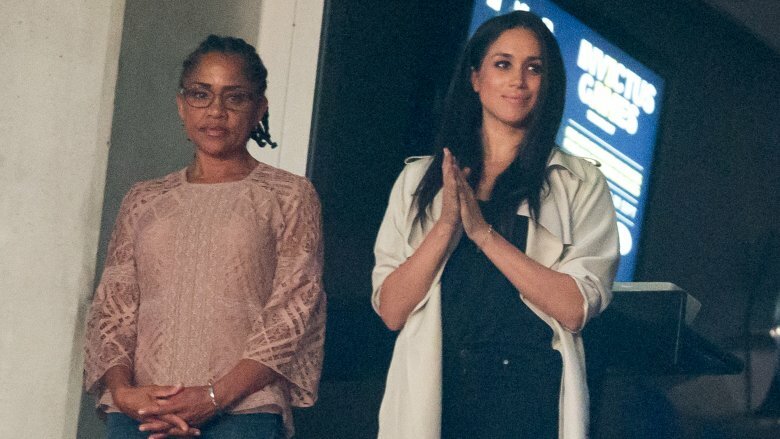 According to the New Zealand Herald, Meghan's father, Thomas Wayne Markle, had about $216 in his savings when he filed for bankruptcy in 2017, and Meghan's mother, Doria Ragland (pictured), filed for bankruptcy in 2002, right around the time Meghan launched her acting career. Ragland reportedly had about $58,000 in credit card debt at the time. Meghan's half-brother, Thomas Markle Jr., supposedly had about 10 bucks to his name and roughly $97,000 in debts when he filed for bankruptcy in 2013. Meghan's half-sister, Samantha Grant, filed for bankruptcy in 2003, along with her second ex-husband. You get the idea. 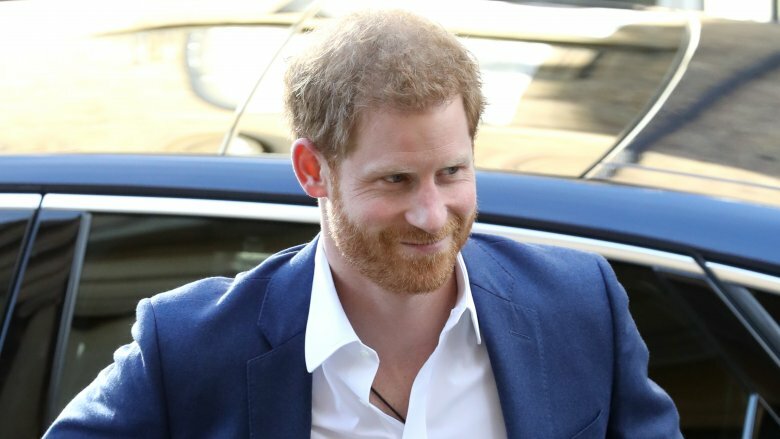 It's no wonder Meghan Markle didn't send her half-brother a save-the-date card, considering he reportedly wrote a letter to Prince Harry urging him to call the whole thing off. In a note obtained by InTouch Weekly, Thomas Markle Jr. warned Prince Harry that marrying his sister would be "the biggest mistake in royal history." (Clearly, he doesn't know the story of Sarah "Fergie" Ferguson, who's been banned from other historic royal nuptials.) "Meghan Markle is obviously not the right woman for you," Thomas Jr. said in the note, calling her a "jaded, shallow, conceited woman that will make a joke of you and the royal family heritage." About a week later, Thomas Jr. penned another letter, this time addressed to Meghan, apologizing for his letter to Harry and begging her for the invite that never came. He followed the ineffective plea by jetting off to London a few weeks later, where he sat down with The Mirror and speculated on everything from Meghan and Harry's relationship to Meghan's wedding dress to how "children is definitely on the agenda" for them. The royal couple has never officially responded to any of Thomas Jr.'s antics, but we feel both the wedding snub and the continued ice-out speak louder than a public smackdown ever could. Meghan Markle is also reportedly estranged from her half-sister, Samantha Grant. They supposedly haven't spoken in about 10 years, and Grant said Meghan is to blame. In a appearance on Good Morning Britain (via the Daily Star), Grant claimed that she drifted apart from her sister after being diagnosed with multiple sclerosis in 2008. She later slammed the Suits actress for allegedly ignoring her condition. "Humanitarianism begins at home. That doesn't mean monetary, it means reaching out," Grant told Australian radio hosts Hughesy and Kate (via the Mirror). Because of her illness, Grant is confined to a wheelchair. In 2017, she launched a $20,000 GoFundMe campaign to help raise money to make her home more wheelchair accessible. There's no word on whether the royal family donated to Grant's cause, but considering Markle's chatty half-sis has almost made a cottage industry out of shading the former actress to every press outlet who will give her attention, that answer is probably a hard no. There's nothing like a high-profile arrest to get yourself banned from the wedding of the year. 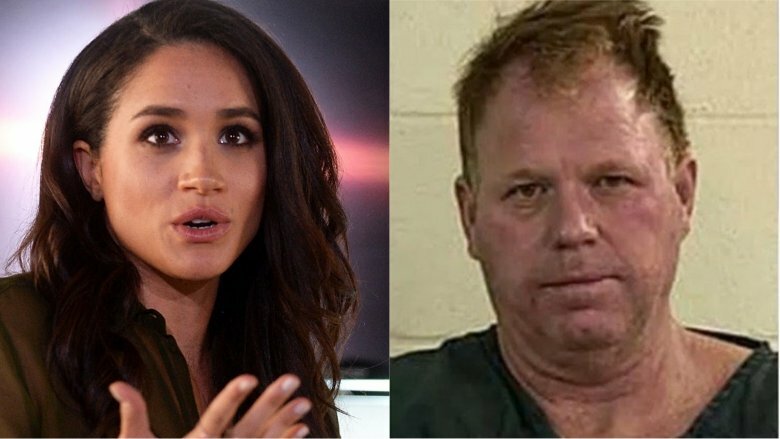 Meghan Markle's half-brother, Thomas Markle Jr., was arrested for allegedly holding a gun to his girlfriend's head in the heat of a boozed-up argument in 2017. But Thomas Jr. swears it wasn't that bad. According to court documents (via the Daily Mail), he was only pointing the gun at his significant other to get her to leave — a totally normal way to show someone out if you happen to be in a 1960s Spaghetti Western. The charges against Thomas Jr. were later dropped, and he has has since apologized for his drunken behavior and vowed to seek help, reported The Mirror, but it's a safe bet the royal family preferred him to just keep his distance from the crown regardless. Not to mention, the UK has some pretty strict gun laws he'll need to know about if he drops by Windsor Castle for a visit. Did substance abuse problems embarrass the crown? 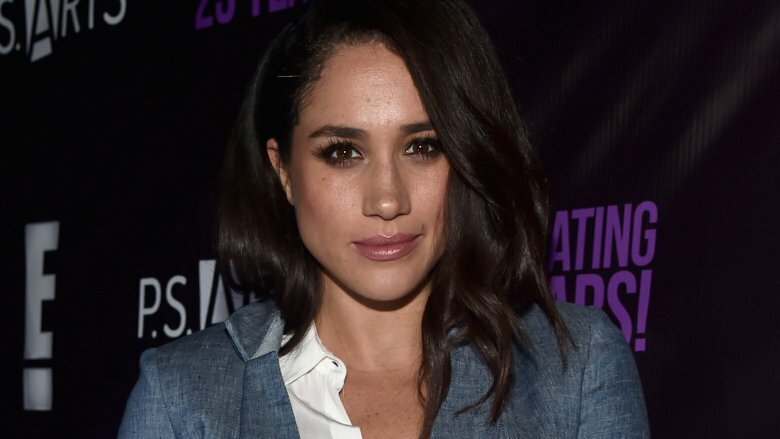 It's not just Thomas Markle Jr.'s legal woes that likely made the Suits actress keep a distance. Meghan Markle's half-brother also allegedly has a problem with substance abuse. After Thomas was arrested in 2017 for the aforementioned incident involving the gun, he reportedly vowed to seek help for his drinking problem. His son, Tyler Dooley, told The Sun that his dad realizes the arrest was "an embarrassment to Meghan and the family." "Due to being inebriated, his emotions got the better of him and he got into an argument with his girlfriend. He's not like this normally," Tyler told The Sun. "I also want to apologise on behalf of my dad. Unfortunately my father has a problem with alcohol. He is now in recovery." Unfortunately, the drama didn't end there. Apparently, Thomas Jr. reached out to the royal family for some legal advice but felt snubbed by the crown and by Meghan. He told InTouch that the actress ignored his "plea for help." By his own admission, the pair hadn't spoken in "seven or so" years, so perhaps just before her wedding and via scandalous tabloid third parties wasn't the best way to reconnect. Weed and Buckingham Palace are not two things you typically hear in the same sentence — even if ganja's totally legal in parts of the States. Meghan's nephew may run a successful cannabis business in the USA, but that's a rather scandalous career for someone close to the royals. 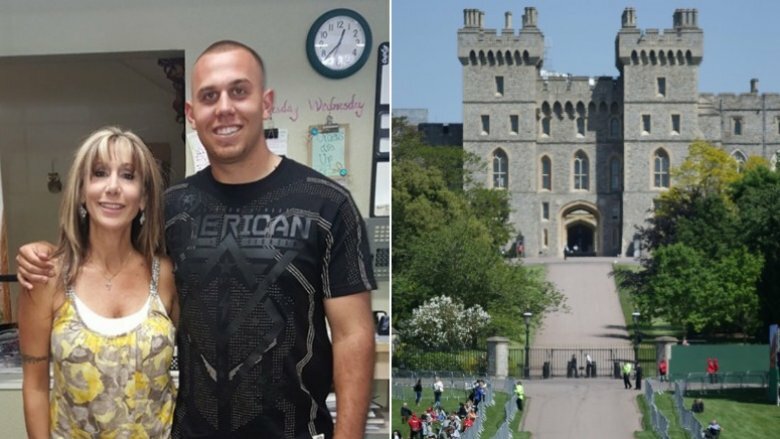 Tyler Dooley, Meghan Markle's nephew from half-brother Thomas Markle Jr., grows weed legally in Oregon, but in the UK, his greenhouse would get him jailed for years. Nonetheless, Tyler was so pumped about Meghan and Prince Harry's wedding that he made a special strain to commemorate the occasion. 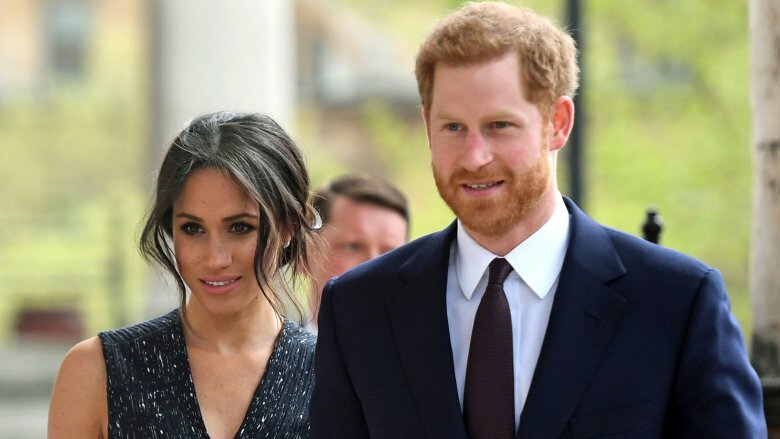 It's called the "Markle's Sparkle," and he told the Daily Mail, adding that he was "more than happy" to give Harry a try if he ever passes through Grant's Pass. We suspect Harry, who was forced to visit a drug rehab center after his father caught him smoking weed, probably won't take Dooley up on that offer. A tell-all memoir about the royal family will all but guarantee your invite gets lost in the mail. Even the queen's bra-fitter was reportedly stripped of her royal warrant because of plans to release a memoir that didn't even have much to do with the royal family. It seems a mere mention gets you blacklisted, so Meghan Markle's half-sister, Samantha Grant, should have known better when she dubbed her book The Diary of Princess Pushy's Sister. In an interview with Vanity Fair, Grant described the memoir as a "warm, witty story of our lives and my life." Call us crazy, but Grant's past stories about her half-sister haven't come across as very "warm." According to Express, Grant's agent, Linda Langton, later made her change the title because it "did not reflect what she'd told [her] about her loving feelings for Meghan." Ya think? "The book is extremely well written and is a dynamic and sympathetic portrayal of two sisters, one of whom is soon to be a real live princess," Langton said. Keep in mind, Markle was reportedly raised as an only child who only saw Grant occasionally. As of this writing, Grant's dubious magnum opus has yet to be published. 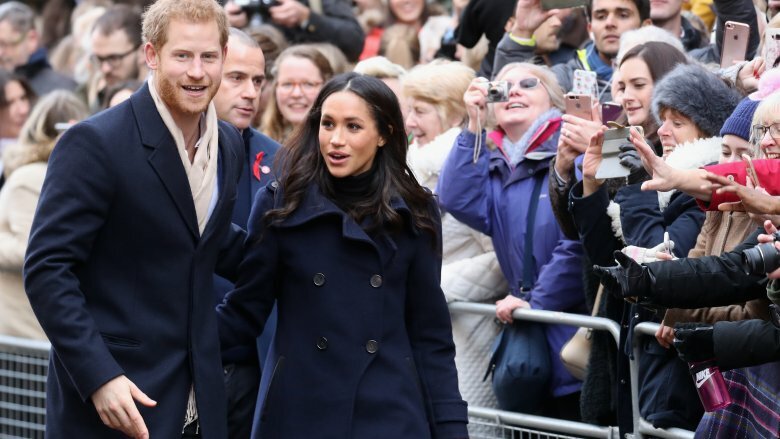 It's no secret that the Meghan Markle family is a bit unpredictable, and royal wedding planners are probably not big on surprises. Not to mention, how does one gather their family members together if restraining orders are potentially involved? At one point, Samantha Grant reportedly had a restraining order against her own mother, Roslyn Markle. (Roslyn was married to Meghan's father before Meghan was born.) In 2015, Samantha filed a restraining order against Roslyn, which was dismissed in a week, but this mother-daughter dynamic is still not a good one. In fact, it seems Roslyn is one of the few blended family members who is on Meghan's side. According to the Daily Mail, Roslyn said her own daughter "has been dogging [Meghan] for the last 20 years. Everything she has said about her is a lie." Pro tip: If you want to go to the wedding, avoid bashing the bride and groom. 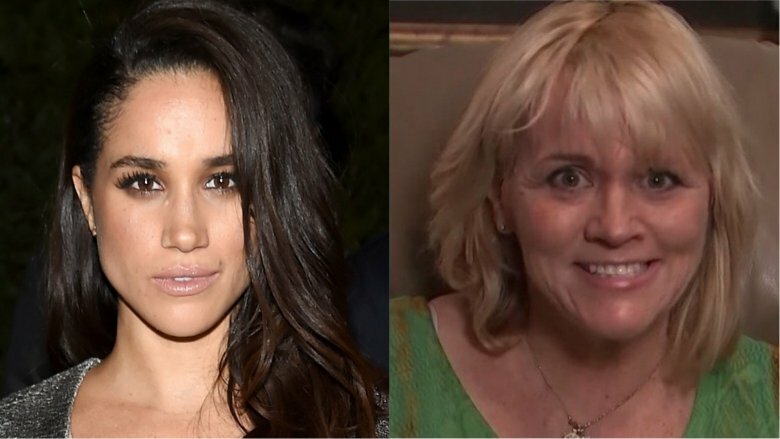 Even though Samantha Grant claimed she hadn't spoken to her half-sister in a decade, she's become the tabloids' go-to authority for dirt on Meghan Markle. 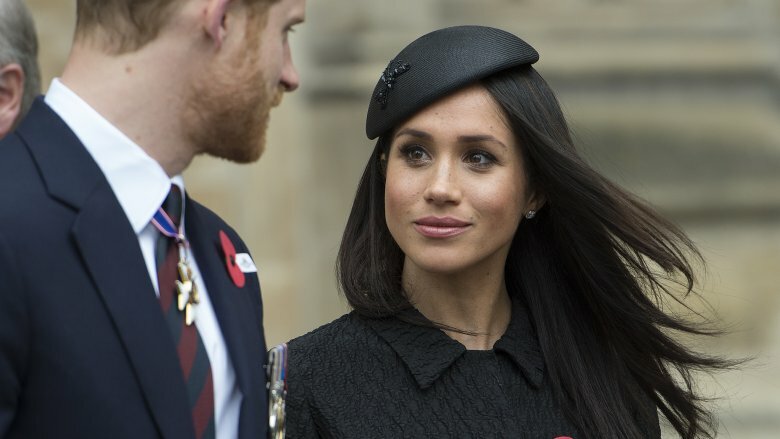 When news of Meghan's royal relationship broke, Grant infamously declared her half-sister a "shallow social climber" who "has a soft spot for gingers." She also claimed Meghan's "behavior is certainly not befitting of a royal family member" and alleged that "Hollywood has changed her. I think her ambition is to become a princess." Grant also accused Meghan of not being there for her financially-strapped father, telling InTouch, "If you can spend $75,000 on a dress, you can spend $75,000 on your dad." Weirdly enough, in the same breath that Grant accused Meghan of being a social climber who abandoned her family, Grant changed her last name to Markle in what appeared to be a bid to align herself with the new princess. Meghan Markle's family hasn't just shaded its own. The dysfunctional crew also set its sites on Prince Harry. 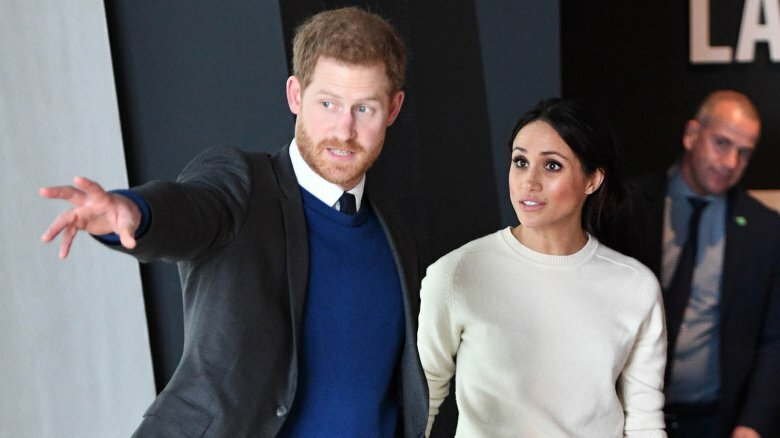 Samantha (Grant) Markle put Harry on blast for "letting his bride-to-be ignore her family." She also criticized his humanitarian work, claiming it's all for naught when "you are allowing Meg to ignore the Markles." Samantha even took a cheap shot at Harry's masculinity, telling him to "man up." Yep, she essentially called the queen of England's grandson a wimp. Perhaps the prince shouldn't take that smack talk personally. Samantha also slammed her own brother, Thomas Jr., on social media – calling him "mentally ill" and a "compulsive liar." Some members of Meghan's family supposedly got fed up with the arguments the royal connection caused among them. Noel Rasmussen (Samantha's teen daughter) said the whole situation was "ripping the family apart." This situation became so dramatic that we can't help but wonder if a reality show is in this brood's future. Meghan Markle may have tried to keep in touch with her nephews and nieces, but her family's ongoing drama supposedly made it rather difficult. 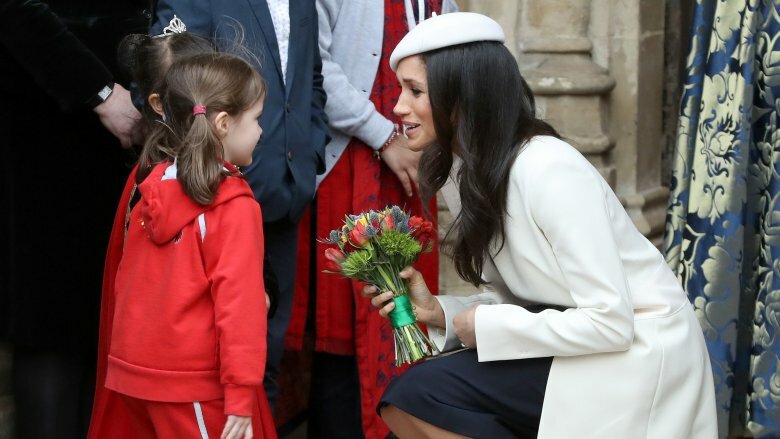 Niece Noel Rasmussen described the future princess as the "big sister I never had" and reported that Markle used to take her shopping for clothes and books. Nephew Thomas Dooley recalled fond memories of Markle babysitting him as a child but alleged that fighting between his dad and Markle's dad took their lives down "different paths and we fell out of touch." 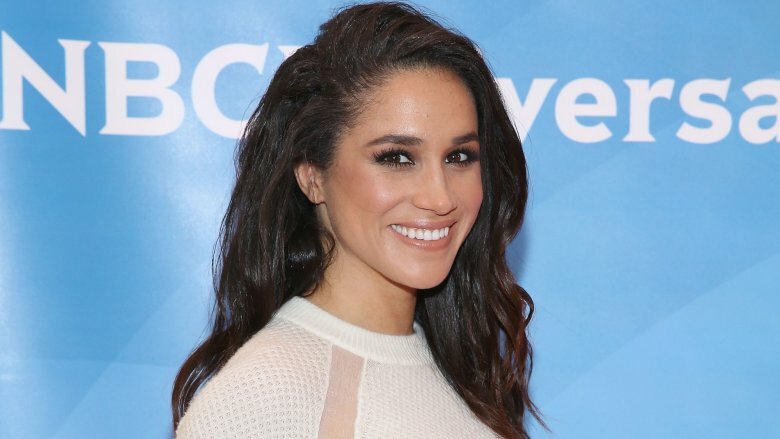 Despite the rift, Markle's nephews are reportedly very supportive of the actress (even though they didn't receive a wedding invite.) "Me and my brother Tyler have nothing to do with our dad. His behaviour since Meghan began dating Prince Harry has been completely appalling," Dooley said. "I want people to know I have nothing to do with it and just apologise to her." Though Meghan Markle's headline-making family was barred from the royal wedding, that didn't stop some members from showing up anyway. According to TMZ, some members of Markle's extended family touched down in London without an invite. Markle's aunt, Tracy Dooley, and nephews Tyler and Thomas Dooley were spotted at Heathrow airport with suitcases in tow. Alas, Markle's aunt and nephews didn't get to live out the British sequel to Wedding Crashers we never knew we wanted. It was initially reported that the trio had landed a weekend gig as special correspondents for Good Morning Britain, but the show later had a change of heart.